USDCAD is chiefly affected by Canada’s housing price index and for today there is no economic news in Canada. Market will be more active next week with the release of nation’s consumer price index, retail sales and BoC review report. 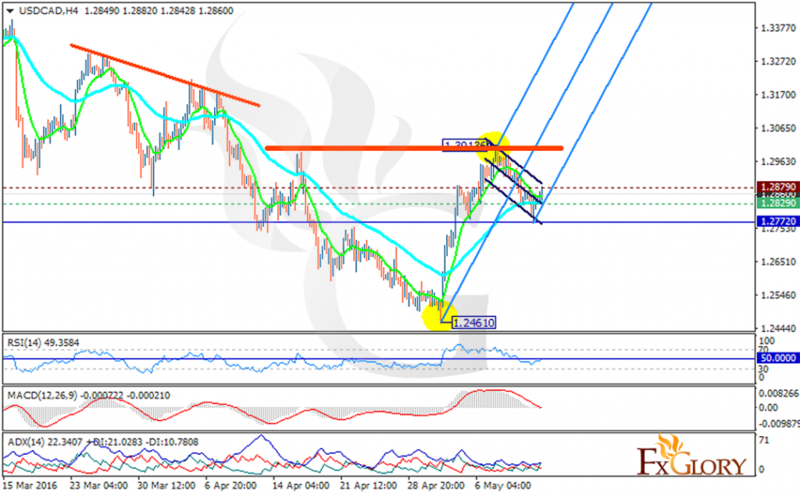 The pair is finding support at 1.28290 with resistance at 1.28790 which both lines are above the weekly pivot point at 1.27720. The pair might fall down the descendant channel creating another bottom at 1.24610. The price is expected to move in lower ranges due to the oil market as well. Moreover the MACD indicator and the RSI are in neutral zone but the ADX is showing strong buyers suggesting that the price will follow the Andrews’ pitchfork. There is no clear signal at the moment so traders can wait for a better chart setup.